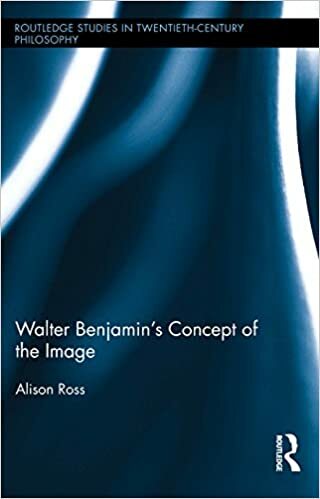 In this book, Alison Ross engages in a detailed study of Walter Benjamin’s concept of the image, exploring the significant shifts in Benjamin’s approach to the topic over the course of his career. Using Kant’s treatment of the topic of sensuous form in his aesthetics as a comparative reference, Ross argues that Benjamin’s thinking on the image undergoes a major shift between his 1924 essay on ‘Goethe’s　Elective Affinities,’　and his work on The Arcades Project from 1927 up until his death in 1940. The two periods of Benjamin’s writing share a conception of the image as a potent sensuous force able to provide a frame of existential meaning. In the earlier period this function attracts Benjamin’s critical attention, whereas in the later he mobilises it for revolutionary outcomes. The book gives a critical treatment of the shifting assumptions in Benjamin’s writing about the image that warrant this altered view. It draws on hermeneutic studies of meaning, scholarship in the history of religions and key texts from the modern history of aesthetics to track the reversals and contradictions in the meaning functions that Benjamin attaches to the image in the different periods of his thinking. Above all, it shows the relevance of a critical consideration of Benjamin’s writing on the image for scholarship in visual culture, critical theory, aesthetics and philosophy more broadly.